The Infinite Space: Resurrection Soundtrack was originally composed for Gameforge’s browser game Star Trek: Infinite Space, which was cancelled after the developer failed to find a publisher. Usually the music composed for a cancelled project will also get shelved for various legal reasons. 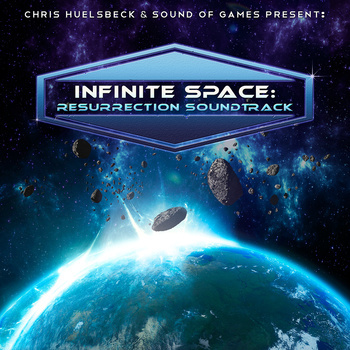 Infinite Space: Resurrection was a rare exception of which the composers, Chris Huelsbeck and Sound of Games, were able to get the permission from the game producers to release the music commercially even though the game had been cancelled, on the provision they did not reference the Star Trek IP. The soundtrack, orchestrated by Michael Stoeckemann and Adam Klemens, was performed by the Macedonian Radio Symphonic Orchestra. Infinite Space: Resurrection has the typical epic orchestral music that one would expect from a space opera game. The soundtrack starts off with the main theme of the game, “Infinite Space- Resurrection Theme”. It has a striking and memorable melody, performed with gusto by the orchestra, to capture the space adventure that was supposed to unfold. However, this track is surprisingly the shortest (0:54) in the album, and the piece feels underdeveloped and leaves the listeners wanting for more. Aside from a few tracks, the soundtrack is divided into two sections: Alliance and Warriors, as labelled on the titles of the tracks. The two sections probably represent two opposing factions in the cancelled game. Starting with the Alliance section, “Alliance of The Planets Station” and “Alliance – Search for the Unknown” are two of the more tranquil tracks in the album. In “Alliance of The Planets Station”, the strings carry a sweeping melody supported prominently by harp, giving the piece the vibe of a time of peace. The melodic line in “Alliance – Search for the Unknown” generally progresses in a stepwise manner and alternates between major and minor to create tensions. Part of the game’s theme can be heard in this track and the next, “Alliance – Deep Space Exploration”, which utilizes a repeating pattern played by the strings to create a sense of urgency. In “Alliance – The Captain’s Oath”, descending chromatic phrases are performed by the violins to create dissonance whereas broken chordal figures give the piece more intensity. The percussion in “Alliance – Battle Stations” provides the piece with a marching beat and a militaristic feel while the timbre of the brass adds to the gravity of the sound. Rhythmic repetition of the same notes in short bursts is used in “Alliance – Bravery” to create tension while “Alliance – Code Red” employs rapid cascading strings passages to drive the piece forward. Both pieces also feature propelling beats by the Timpani and a grave melody by the brass to express exigency. For the Warriors section, “Warriors Fortress” has a solemn motif accompanied by a steady rhythm by a hand drum, an appropriate sound for a stronghold. Note that the motif from “Warriors Fortress” will recur in varied forms in all of the remaining Warriors tracks. “Warriors – New Territories” imbued the motif with a greater sense of grandiose through contrasting it with a rapid pattern repeated throughout the track. Similar arrangement of the motif can be heard towards the end of “Warriors – The Need to Expand”. In “Warriors – Ancient Claims” and “Warriors – Fight for Honor”, rapid repetition of one note by the bass is used to evoke tensions. In “Warriors – Battle Blood”, the motif is carried by the brass and accompanied by the percussions with an unrelenting rhythm, giving it a sense of urgency. The pacing of the motif is further sped up in “Warriors – Vengeance” with frantic percussion beats, pushing the piece into a state of frenzy. “At the Traders Bar” has a tribal vibe owing to the diverse tone colours of multiple instruments and various percussions featured throughout the track. 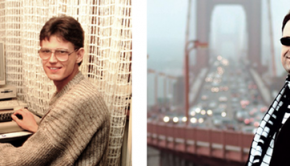 In a sharp contrast with the previous track, “Traders Outpost” has a melancholic melody with a subdued timbre. 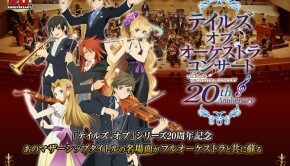 The final track, “Infinite Space- Resurrection Theme (Proto Version)” is the demo version of the main theme recorded with samples instead of the orchestra. 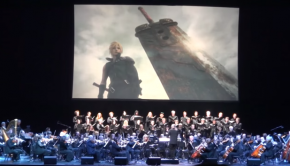 While it is interesting to compare the track to the main theme recorded with the orchestra, it adds nothing much to the listening experience of the soundtrack. Infinite Space: Resurrection Soundtrack is a solid collection of orchestral composition befitting a grand sci-fi game, and the compositions definitely benefitted from the performance of a live orchestra. However, there is also a lot of untapped potential in the materials presented, which can be safely attributed to the cancellation of the associated game project. Nevertheless, the soundtrack is still worthy to be in the collection of listeners who are fond epic orchestral music or fans of Chris Huelsbeck. Posted on May 16, 2015 by KT Wong. Last modified on May 20, 2015.